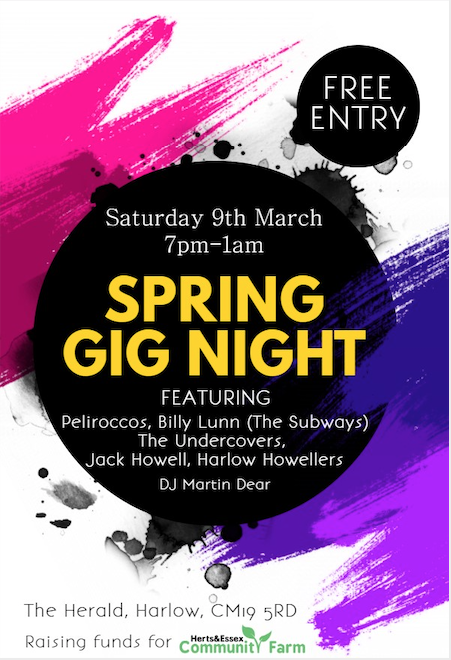 HERTS and Essex Community Farm will be hosting a fundraising music night featuring local musicians at The Herald, Broadley Road, Harlow on 9th March 2019 from 7pm til late. Herts & Essex Community Farm is a not-for-profit organisation based in Fold Croft, Harlow which provides social, educational, environmental and economic benefits to the town. The Community Farm is a proud advocate for the local music scene in Harlow and features local musicians regularly at their annual music festival, Farm Fest.